Based on purchase price of $5,999.88 at 0% APR for 18 months. Excludes tax and shipping fees, to be calculated at checkout. Rates range from 0-30% APR. Choose from 6, 12, or 18 monthly payments. 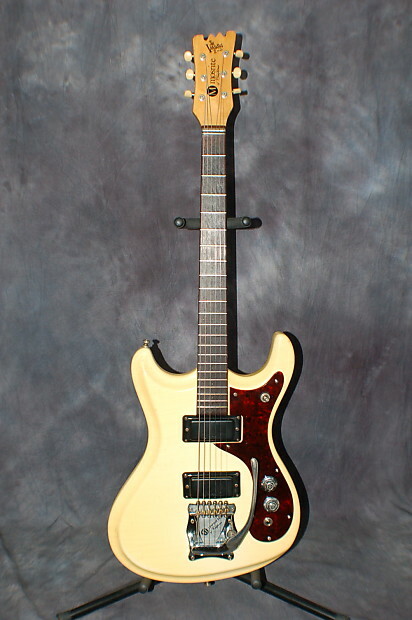 A really cool rare Mosrite Guitar. 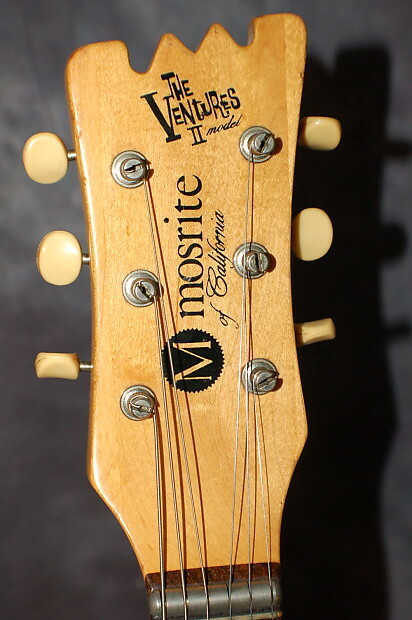 It’s a 1966 Ventures II Model which was only made in 1965 and 1966. 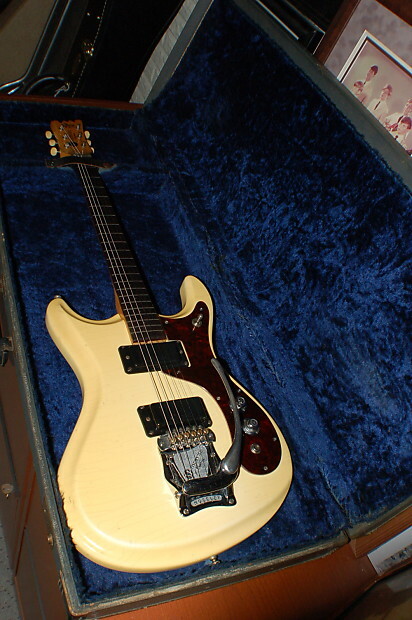 This is one with the German Curve Body that is all original including the original Hard Shell Case and strap! 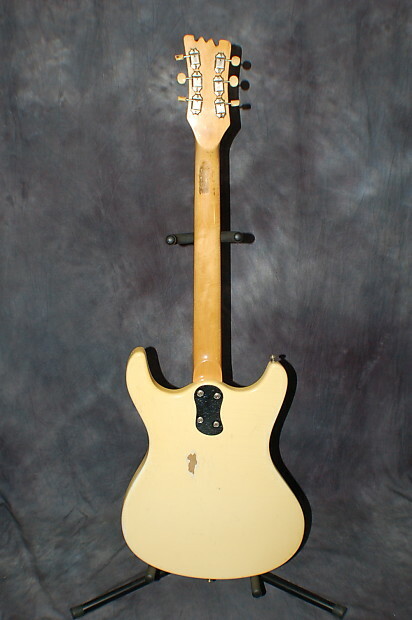 Be sure to check out the really cool Video Demo we did for this guitar! 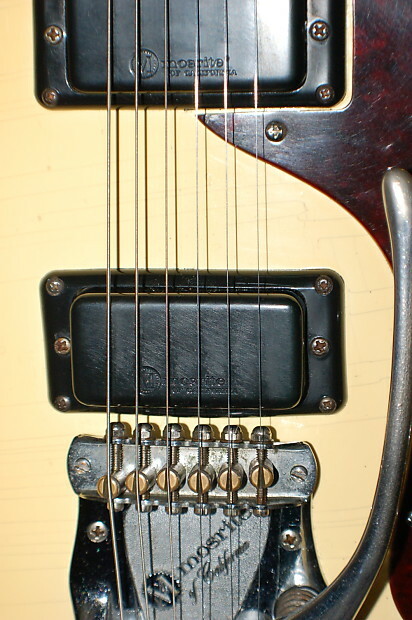 The Pickups are nice and strong…very rare sound from these cool original single coil Mosrite Pickups. 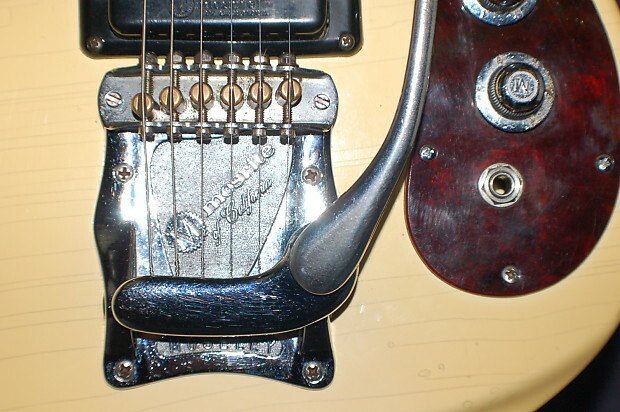 The Whammy works great and the whammy bar is also orginal. 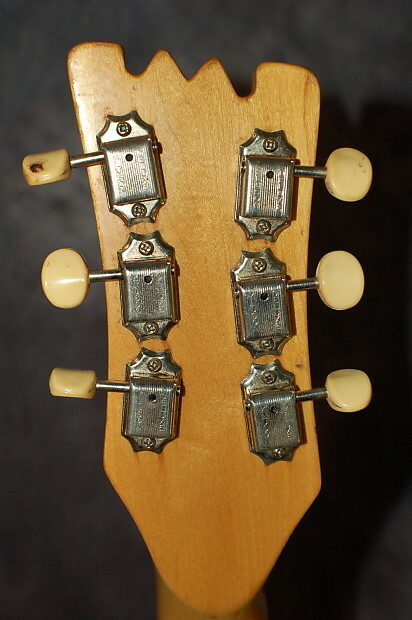 The Double Line Kluson tuners are in very good shape with the original tuner buttons. 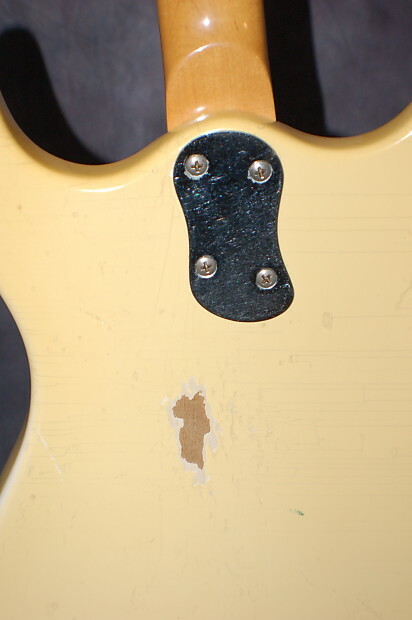 The frets have been used a lot. 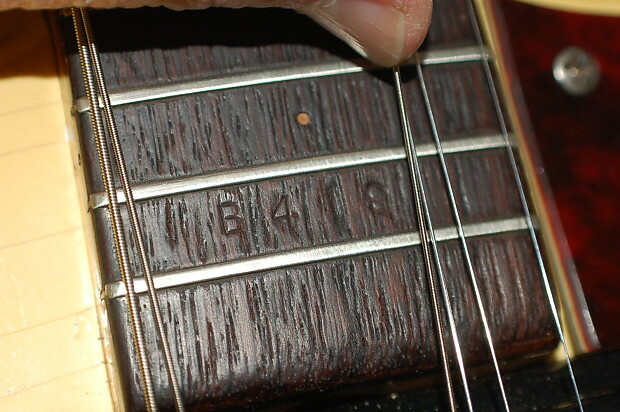 They are small frets to start so some day you will need frets if you play this guitar professionally. 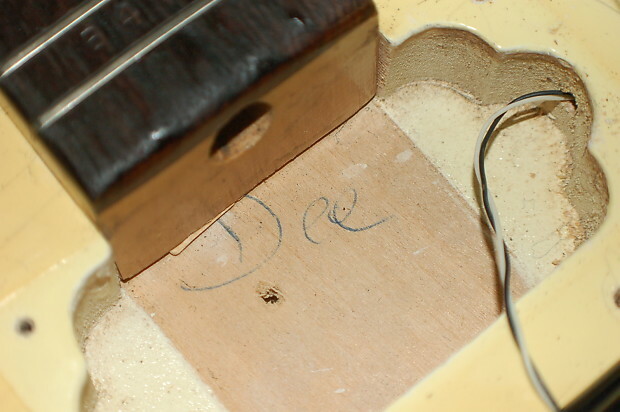 For most of us, the existing frets are still working the way they should. 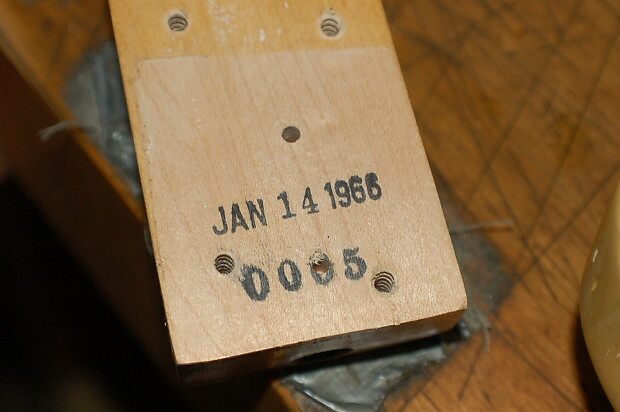 The original serial number is stamped on the end of the fret board as they were back in 1966.. Really cool all original guitar made by Semi Mosely! 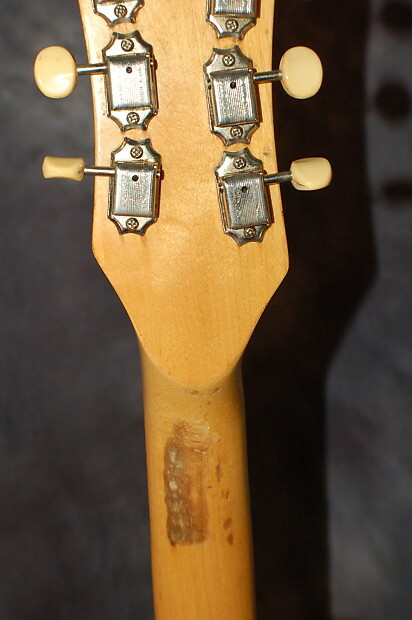 Heres some info I found on the internet regarding these cool guitars..
Our Techs set this guitar up with a new set of 10 gauge strings with low playing easy to play action. It is super low so you have plenty of room to move it up. You won’t want the action any lower! 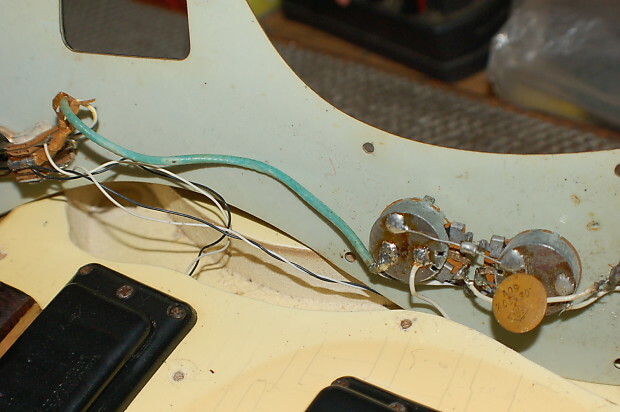 All electronics are checked out and operating as they should. 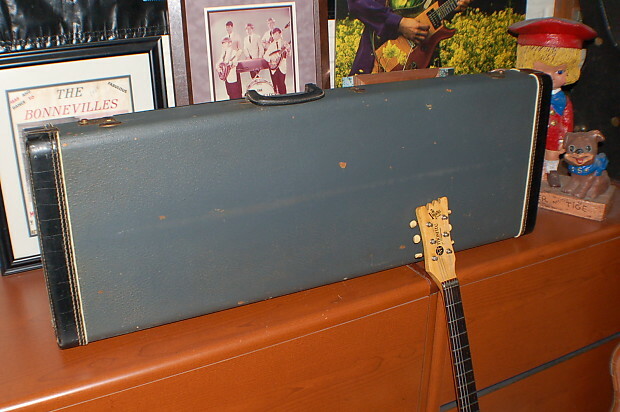 The case is as cool as the guitar. 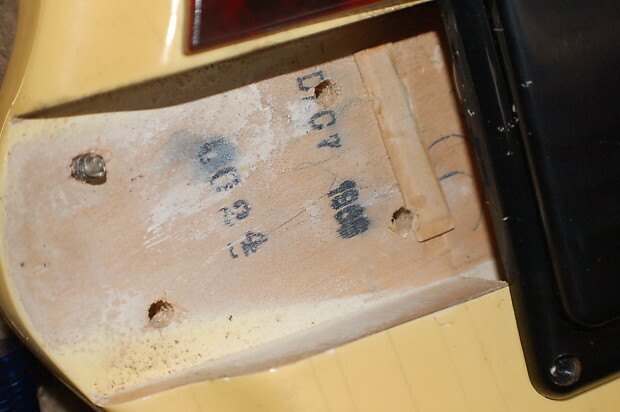 Original Gray Mosrite Hard Shell Case that even still has the neck restraint strap. Interior has no funny odors so no moisture problems. The interior is still very nice and all the original hinges, latches, and handle are still operating. 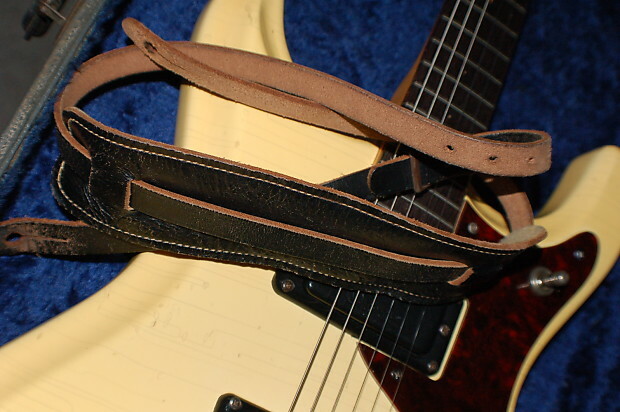 I am even including the original leather strap that came with the guitar. 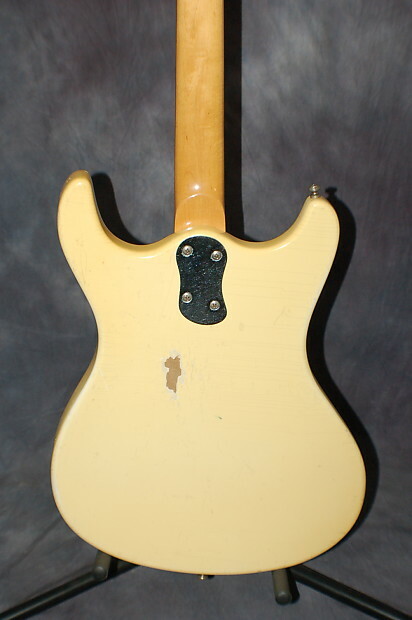 Cool item that needs to stay with this cool guitar. 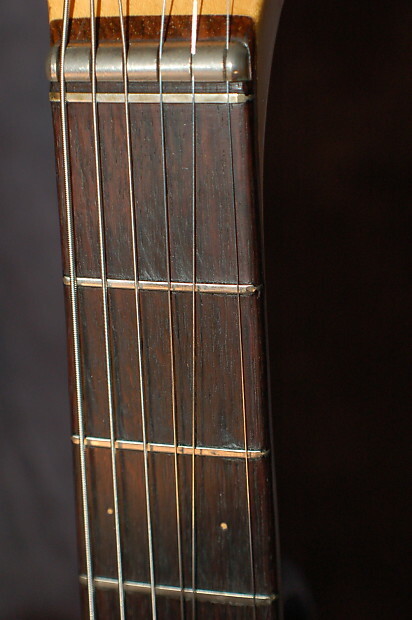 Sold as-is no returns as its vintage ..however, I have been hand picking my customers instruments for over 18 years now and they all loved the guitars I found them. 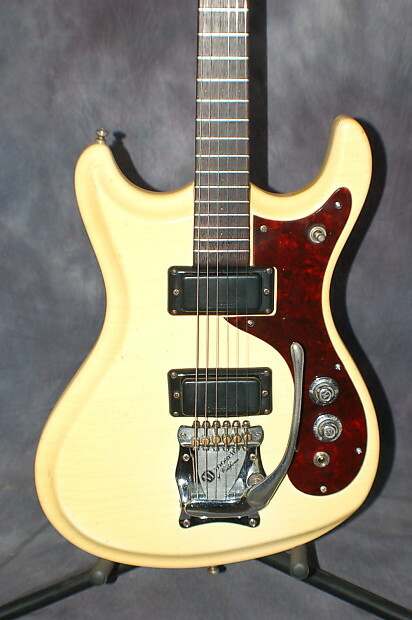 This cool Mosrite will certainly not be an exception.